Finally, one week from today, September 26th, I will land in Maputo, Mozambique. Talk about the best Birthday present ever. Talk about a true rebirth. Yeah, September 26th happens to be my birthday! When I first began blogging I was building up to this moment. Living Life With A Little Spice encompasses so many things, at first it was with the food of my culture, now it is with this new experience. It’s about adding something to your life to leave a lasting memory. The preparation for my departure has been memorable itself. The last few weeks have been spent trying to pack, practicing Portuguese, and trying to enjoy the people I love as much as possible. As excited as I am for this journey, of course there are my things weighing on my mind. I joined Peace Corps to really find myself, to help me define more clearly who I am meant to be. It’s so important to me to be a part of our world community, not just by existing but by truly impacting someone, somewhere. Now I have a week left and I am freaking out! It starting with my packing, what do I bring, what do I leave behind. What If I need this, or that? Am I bringing too much? Isn’t that the whole issue, in myself, what do I bring, what do I leave behind? My hopes and fears are flooding my brain. So as I tap my fingers and anxiously await the day of my birth. Here are my hopes and fears for the next two years. Not being able to “handle it”… Bugs, What am I doing with my natural hair? With all of that written, I think I just answered the question of hopes and fears. What Do I bring? My hope. What do I leave behind? My fear. HHmm… writing this out is great. Questions answered. 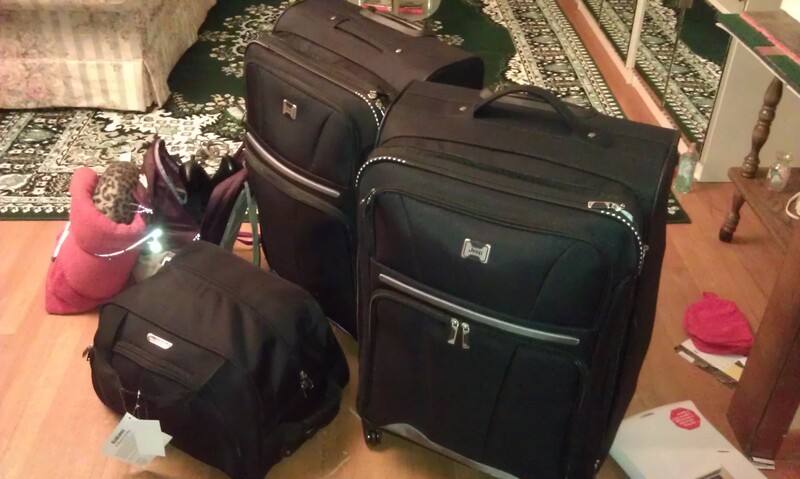 I’m packed and ready to go! Let’s see how this works out!